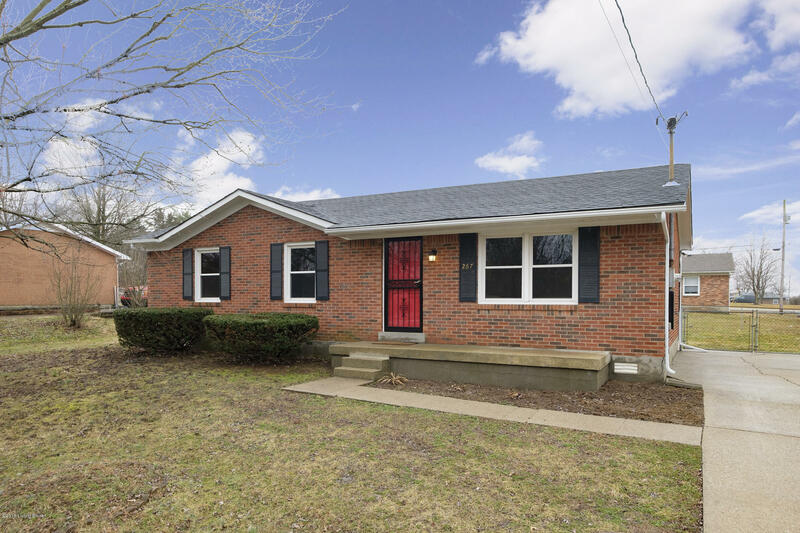 Open House 2/10/19 2-4pm. Perfect place to start your nest in this 3 bedroom 1 bath home in Mt. Washington. You will love the spacious eat-in kitchen, painted white cabinets, with all appliances to remain. There is a separate laundry that is large enough to add shelving/cubbies for additional storage. The floors in this home have been nicely updated along with the full bathroom. The bathroom has an attractive tiled shower and newer vanity to complete the look. The full kitchen opens to a small patio and fenced in yard. This home has newer replacement windows from window world with a lifetime warranty. Buyers may transfer the lifetime warranty for a very small fee. You will love this place so don't miss out.